Twenty six Dresden plates have been hand appliqued! I have 38 to go. I like to tell myself that I have done 40% of the applique work, because that makes it seem like I am closer to my goal. I look forward to the time that I'll spend on the applique. I find it to be relaxing. I listen to talk radio or I catch up on Pat Sloan's weekly podcast with American Patchwork and Quilting Magazine. And sometimes it's nice to not hear my sewing machine humming for a few hours. 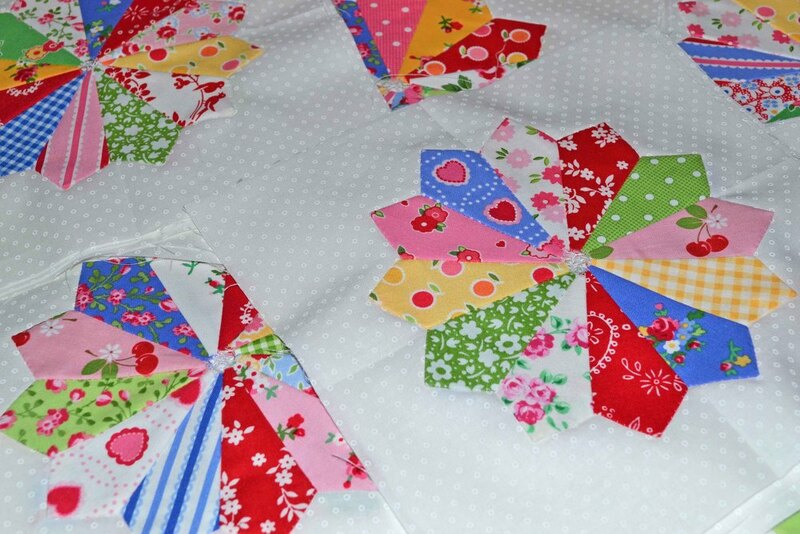 The finished blocks will be 8" (I cut them oversized and then trim then down later) and set with postage stamp sashing. I'm aiming for circus-like, cotton-candy-insanity here! There will be multicolored inner sashing and red outer sashing. And probably a few borders. This all works in my mind... and hopefully it will work in real life, too. And then there's the bag with even more sashing that still needs to be pressed open. The burnt fingers part is not my idea of fun! 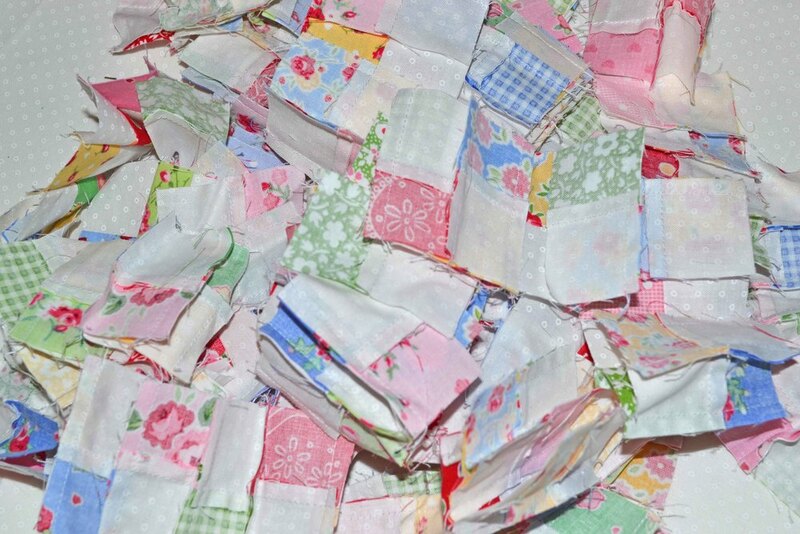 I'm working with an assortment of Pam Kitty Morning and Pam Kitty Love, with a few bits of Sew Cherry and Flower Sugar. OH, and this is the first time that I used white-on-white fabric! I love it. I'm sure you've seen that now I use it all the time. I like how it adds texture without additional color. I'll use my new set of Perfect Circles templates to help with the center circles. I love having this big selection of sizes to choose from. I picked these up on Saturday at my local quilt shop. The quilt shop just happens to be right across the street from the Chelsea Flea Market. I had extra money to spend since a flea market vendor REFUSED to sell a sewing machine to me! Ah, that black Singer Featherweight was perfect, and complete with all the accessories, manual, extra bobbins and the original carrying case. He wanted $200 (yes, that's a bargain in NYC). Sold! But then another dealer whispered something to him, and suddenly he couldn't decide if he wanted to sell it to me. He told me to come back on Sunday and maybe he would change his mind. WHAT? Then another male shopper walked up and wanted to buy it to add to his Featherweight collection... and he scrolled through iPhone photos of his machines. Um, four men haggling over a vintage sewing machine?! This isn't the first time that I wasn't able to buy a Featherweight. I know that I'd much rather have a white machine anyway, and my own machine is perfection. I'm happy with what I have. Plus, there's always more hand-stitchy stuff to do, too! 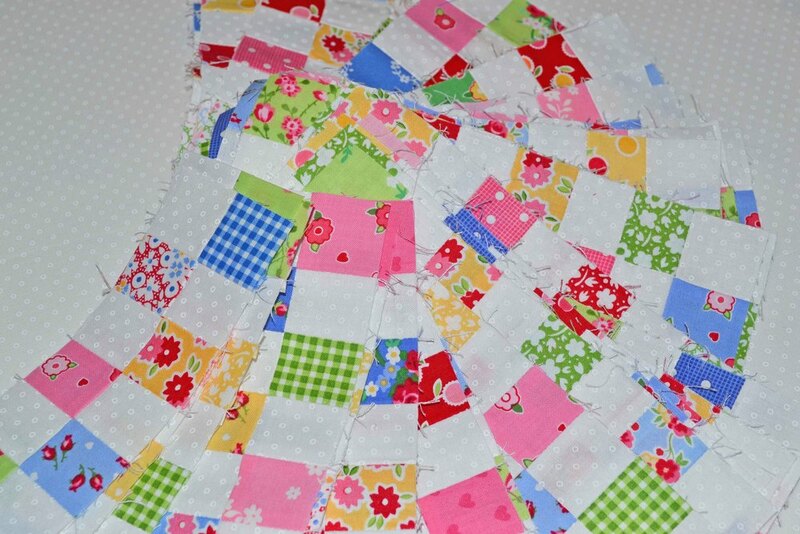 Don't forget to check out what other quilters are working on this week at Patchwork Times!